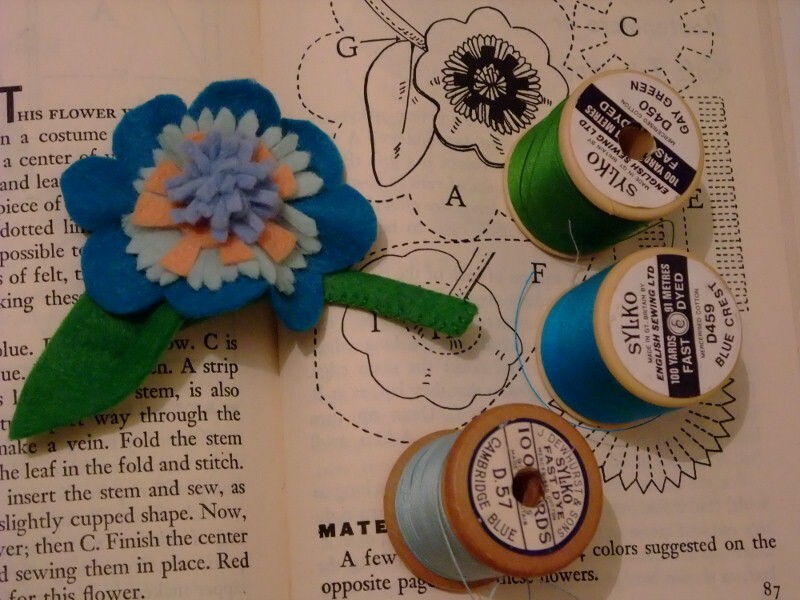 A little bit of 40s sewing this afternoon with some scraps from my felt box and some vintage cotton threads - Gay Green, Blue Crest & Cambridge Blue - don't you just love the names? Completed my first project from my "Let's Make a Gift" book received yesterday. I wanted to use the colours suggested by the author but had to substitute with what I had in the hope that they are a suitably vintage 40s palette. 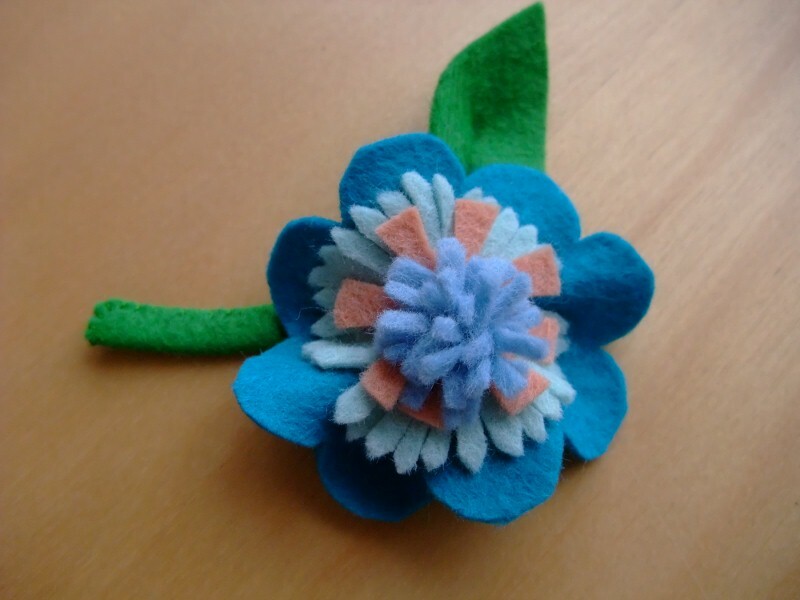 This is actually a lovely little tactile flower, the snipped felt fringe at the centre is almost like wool. 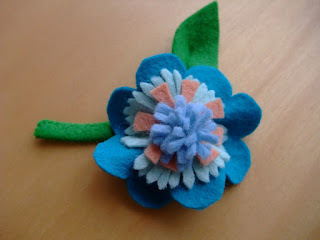 The stem and leaf have a nice sculptural quality and I will definitely be making more of these corsages. Pattern will follow soon. I love these flowers - so cute! Its great to know that there are things to be made with scraps....so often the offcuts from larger projects get discarded but in the true spirit of austerity you have shown that the tiniest pieces can be made into something beautiful. I am making some flowers at the moment but they look so shabby compared to these!So wonderful..can't wait to see the patterns. I love the sound of Cambridge Blue but then again my daughter is at Cambridge so I'm Biased! !